Being in a fast-paced restaurant business requires efficiency and productivity to be competitive. And, what contributes significantly to efficiency and productivity is the equipment used in food preparation and cooking. Target Catering Equipment addresses the needs of restaurant owners for these values. Target Catering Equipment is a leading manufacturer of induction cooking equipment for commercial purposes. Target Catering has 32 years edge of experience in the fabrication of stainless steel catering equipment for commercial cooking. David Pedrette, an ex-merchant navy engineering officer, founded Target Catering, later on incorporating into Pedrette Engineering Ltd. From a modest business, demand for the product required moving to a bigger location. With the relocation was the re-branding of the company to become the Target Catering Equipment. The company’s goal was to encourage the sustainability of the business, reduce its impact on the environment, and improve the business for its stakeholders. The manufacture of its catering equipment is done in-house, aided by a cutting edge manufacturing facility. Technology has its part through advanced computer aided design systems. Having the manufacturing process of the equipment in-house serves to facilitate quality control. Target Catering’s dedication to a high standard quality performance and reliability explains the popularity of the company in the restaurant business. And, the reliability of its equipment is made possible by working with commercial kitchen design consultants and the client to come up with a design that fit the customer’s equipment specifications and requirements. The efforts in high performance and sustainability earned for Target Company the Centre of Excellence recognition for sustainable commercial kitchens. Cost effectiveness. The equipment has an automatic detection feature which makes it 90% energy efficient. This feature translates into a cooler working environment and reduces ventilation requirements. Safe to use. There are no hot surfaces which eliminate accidental burns, flames, and glowing elements that could cause a fire. Fast and easy to use. The equipment has rotary controls in its system that allow the ingredients to cook at the prescribed time and temperature. Flexible use. The equipment suits all types of cooking and ideal for Asian cooking. When not used for cooking, the top functions as a working table. Work hours of Target Catering are from Monday to Friday from 8 am to 4:30 pm. The ordering of equipment is by phone or email where a form is provided for customers to provide the required information. The Target Catering Equipment is made of durable stainless steel and supplied with features that lengthen its usability while saving cost. The price of a bespoke induction ranges customer specification and requirement may run high compared to other cooking equipment in the market. However, the price of the induction cooking equipment could translate into a huge annual saving with a payback time of 2.4 years. In the final analysis, the customer profits with its use. Customer satisfaction for Target Catering Equipment is high, particularly in the area of service and efficiency. Installation completes on time, with the agreed budget, and with high accuracy and efficiency rate. 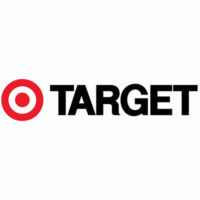 Customers show satisfaction with Target’s trained service teams, as well, who exhibit patience and go to extra lengths to assist the clients in design and specifications. Further, the customer satisfaction is likewise evident in the work performance of the restaurant’s kitchen staff. The kitchen staff becomes creative in cooking from the equipment.